YouTube is far from immune from questionable content, as 64 percent of respondents to a recent survey from Pew Research Center said they sometimes encounter videos that are obviously false or untrue while surfing the Google-owned video site, while 60 percent sometimes see videos depicting people engaging in dangerous or troubling behavior. Pew’s survey of over 4,500 U.S. adults also found that 81 percent of parents with children aged 11 or younger let their kids watch videos on YouTube—34 percent said their children watch the site regularly—but among those parents, 61 percent have encountered content that they felt was unsuitable for kids. The share of YouTube users who get news or news headlines from the site nearly doubled between 2013 and 2018, to 38 percent from 20 percent. 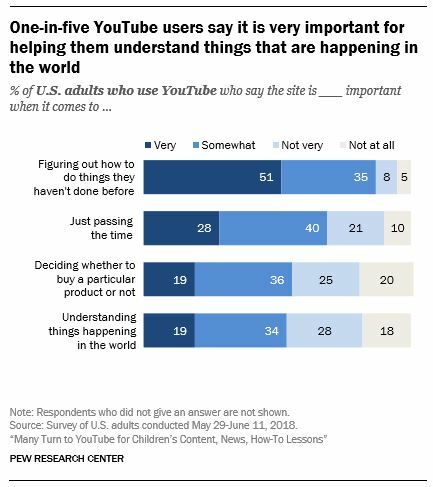 53 percent of YouTube users said YouTube is at least somewhat important for helping them understand current events. 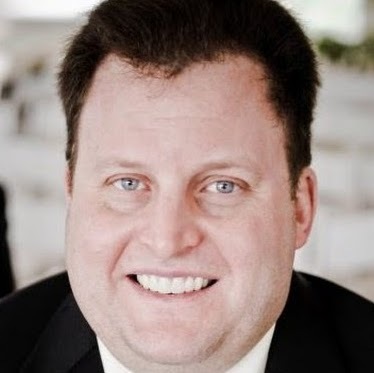 And 19 percent (13 percent of U.S. adults) said the video site is very important for doing so. 87 percent of YouTube users said YouTube is important for helping them learn how to do things they previously did not know how to do, with 51 percent saying it is very important for this purpose. 68 percent of YouTube users said the site is important for helping them pass the time, with 28 percent considering this very important. 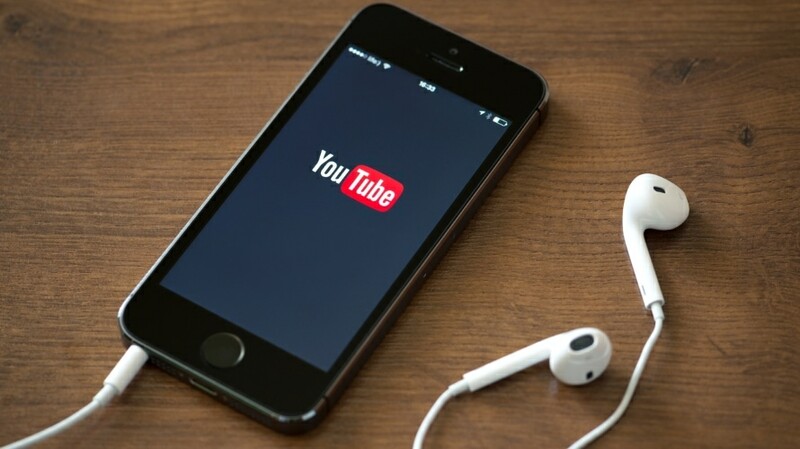 54 percent of YouTube users said it is important for helping them make purchasing decisions. 81 percent of YouTube users said they occasionally watch videos suggested by the site’s algorithm, with 15 percent doing so regularly. The YouTube recommendation system suggests increasingly popular videos, ranging from 8 million views at the start of sessions to averaging over 40 million views after several five-step “random walks” by Pew. The YouTube recommendation system encourages people to watch progressively longer videos. Of the 50 individual videos recommended most often during Pew’s analysis of the YouTube algorithm, 11 were oriented toward children.